Update: CFDI-Invoices Version 3.3 in Mexico: Deadline extended – read more in our new article. 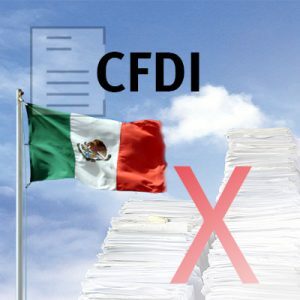 In Mexico, since 2011 most electronic invoices have to be created in CFDI format. CFDI stands for “Comprobante Fiscal Digital por Internet” – means a digital fiscal document via Internet (Invoice). The CFDI invoice must, on one hand, include the signature of the exhibitor and, on the other hand, the signature of a certification provider PAC “Proveed Autorizado de Certificación”. The PAC in turn must be authorized by the Mexican Federal Agency for tax affairs SAT. What does the new version 3.3 bring with CFDI invoices? In addition to the electronic CFDI invoice to be signed, the invoice provider often needs a PDF visualization, which he also sends to his customers. This PDF visualization is in Mexico-like XML format – to a large extent firmly prescribed. In addition to certain accounting information, the PDF must contain a 2d barcode. As one can already see from these legal requirements, the electronic invoicing process is strongly regulated and relatively complex due to multiple signing at various levels. The CFDI-process can only be implemented with the help of external providers such as PAC. The complexity is comparable to the electronic invoicing procedures in other countries of South America or, for example, those in Turkey or Portugal. In order to simplify the implementation and to minimize the risks, it is recommended to work with a partner who knows the requirements in Mexico and other countries. The benefits are obvious: An experienced partner can assist you with the introduction competently, can bundle your increasing international E-invoicing-requirements and thus ensures unification and standardization. A start is also recommended by booking a cloud service. For E-invoicing requirements are often not only technically complex, but cause high initial costs in its own operation. This is matched by an immediately usable, preconfigured cloud service, to which the invoice data is to be transferred only in a clearly defined interface format. 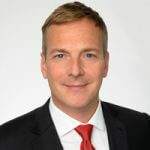 With SEEBURGER Cloud Services for E-invoicing in Mexico – and many other countries – SEEBURGER offers you a secure, comfortable, scalable and high-performance entry at full cost transparency. We create the CFDI in the current version 3.3, let it sign, visualize it for you and transfer these invoices to your customers. These cloud services are independent of the ERP system and can be expanded to include legally compliant archiving.